From the creators of Live NetTV! 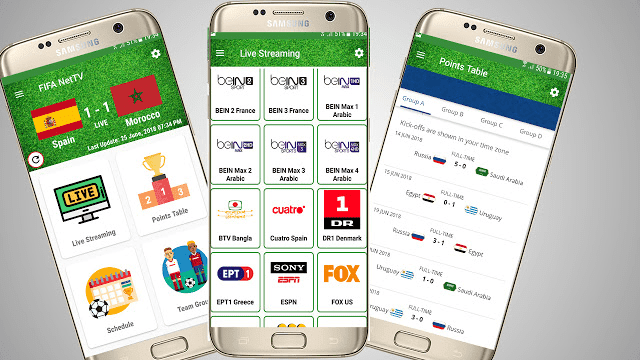 Experience The FIFA WorldCup 2018 LIVE on Your Android Device. 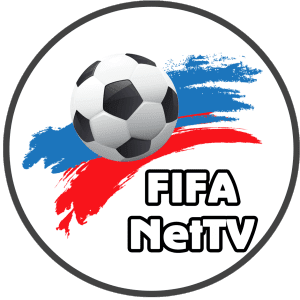 FIFA NetTV Android App provides FIFA Football World Cup 2018 Live Streaming, Schedules, Results, Teams, Groups, Points Tables. You can watch World Cup 2018 Live Streaming from channels countries including UK, USA, Spain, Italy, Portugal, Denmark and many more countries across the globe. The service is absolutely FREE. Get instant updates of world cup matches. Watch FIFA world cup 2018 live stream anywhere anytime and never miss a game. Get complete tournament matches schedule of FIFA World Cup 2018 and keep check of games before time. Even if you miss a game. You can still catch the World Cup 2018 match results later. Unlimited FIFA World Cup 2018 live streaming, schedules, results, updates, teams free of cost. To save anyone commenting here saying “Not ad free” or “This has adverts” please see the bold lettering in the release ‘This app has banner advertisements’.